This ACU shovel cover is great to help you carry your shovel. There is attachments on the back to easily attaches to the MOLLE system for easy carrying the cover and shovel on your belt or backpack. 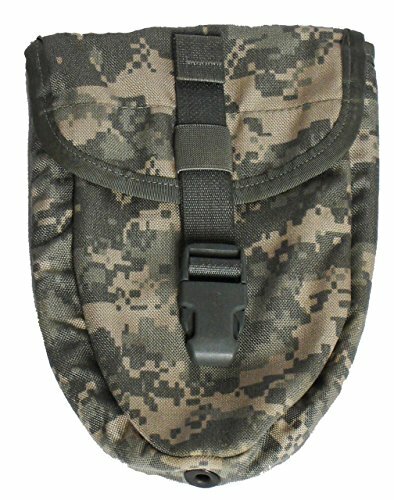 Genuine US Military Never Issued Surplus entrenching tool cover meets us military standards. Made of 1000 denier heavy duty nylon.